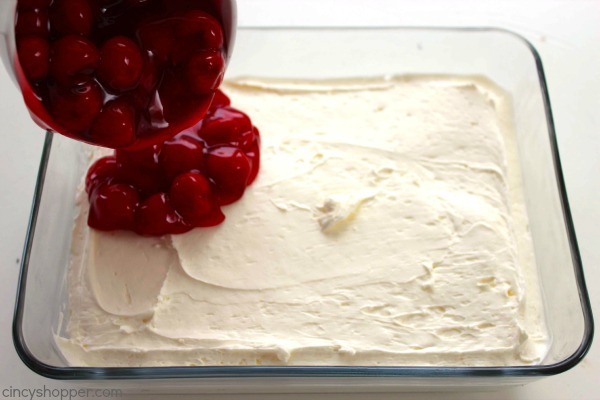 This super easy Cherry Cheesecake Dip makes for a perfect appetizer. 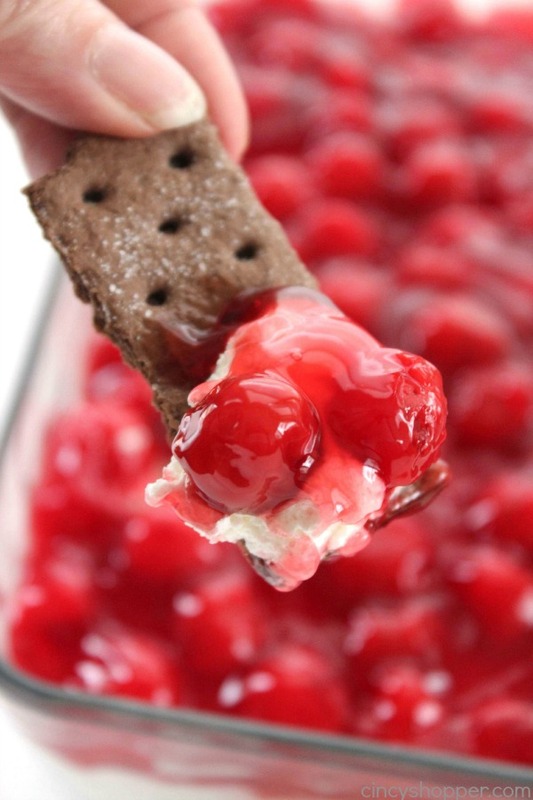 Serve them with graham crackers, Nilla wafers, or even pretzels. No baking is involved and you can make this delicious dip in just a few minutes time. Having quick and easy appetizers during the holiday season is always necessary around our house. 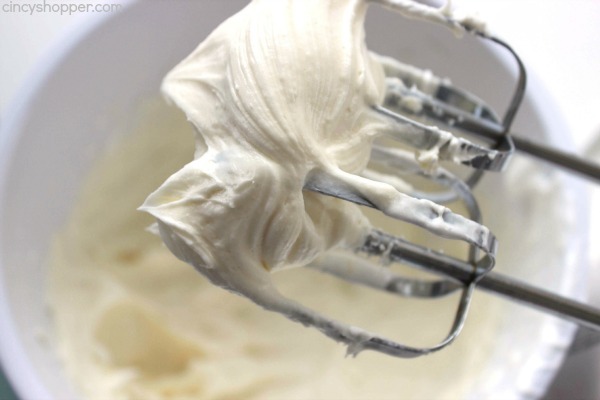 I like to have recipe ideas that are perfect for whipping up in a jiffy. 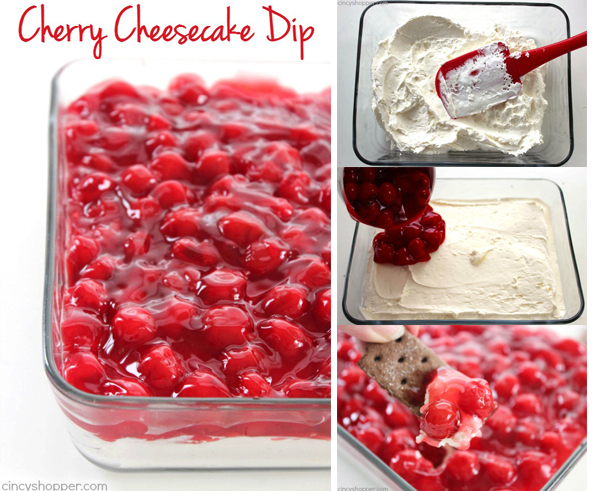 I have made this easy Cheesecake dip with strawberry pie filling during the summer and it was fabulous. 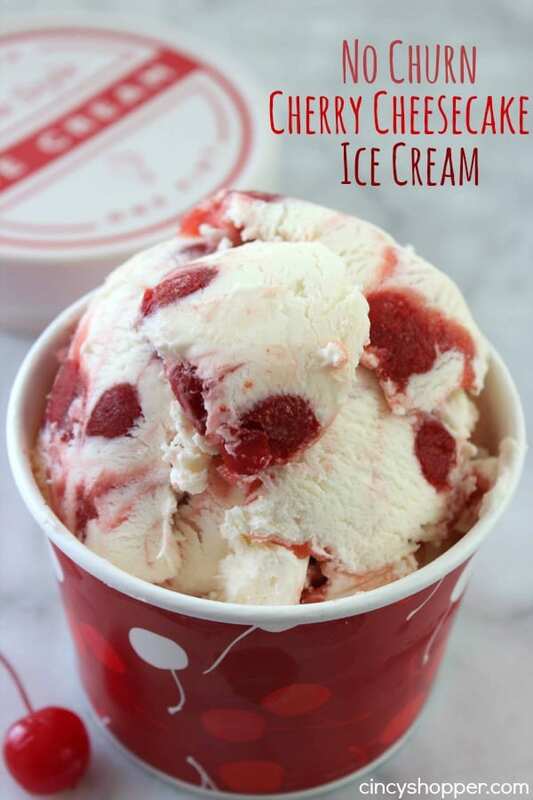 Since my daughter loves our Easy No Churn Cherry Cheesecake Ice Cream, I knew she would LOVE this dip. 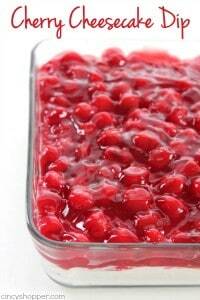 The bright red cherry color will be perfect for serving up at our potlucks during the holidays this year. 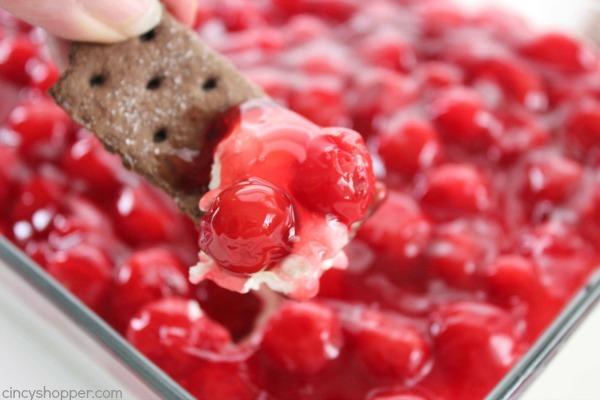 Cherries remind me of Christmas since my hubby is such a Homemade Chocolate Covered Cherries fan. 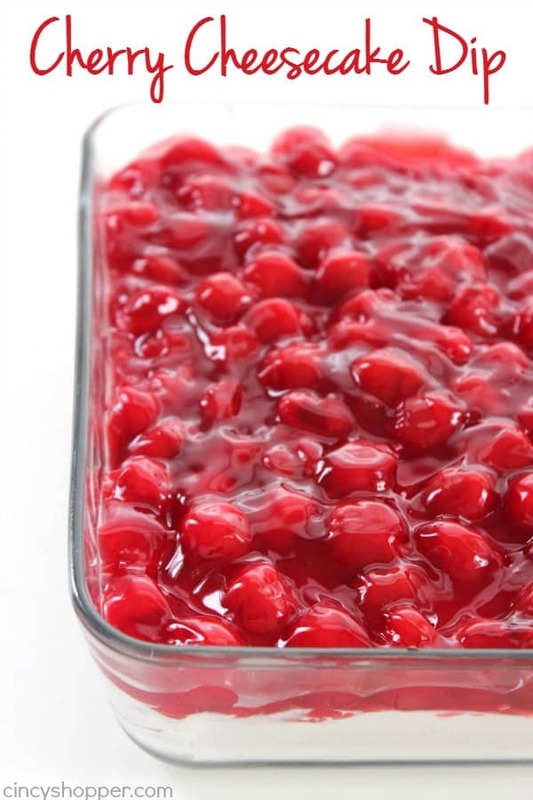 I know this dip will be perfect during the holidays this year. Dips are perfect for appetizers, potlucks, office parties, etc. Most everyone is short on time during the holiday season. 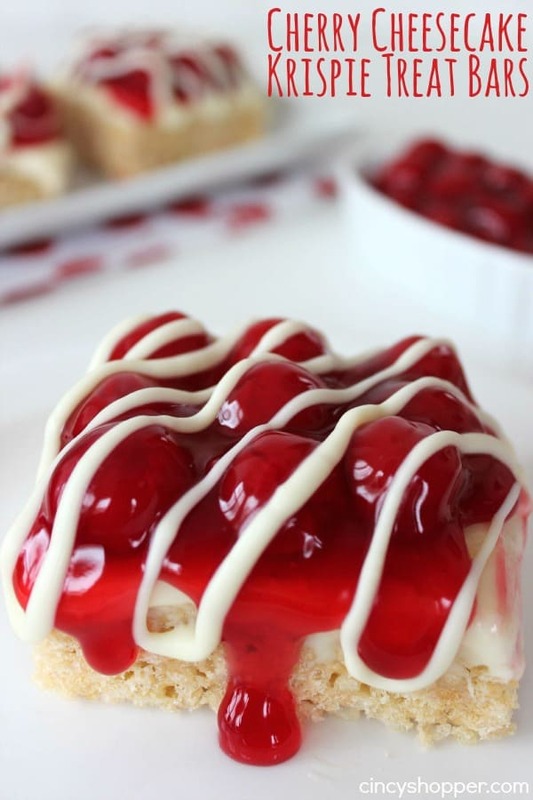 So having quick and easy no bake ideas is perfect. Be sure to add this dip to your list of quick and easy potluck ideas. 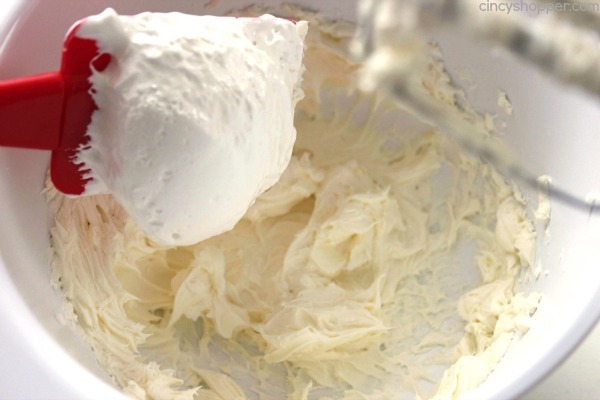 This cheesecake dip requires just 4 super simple ingredients. 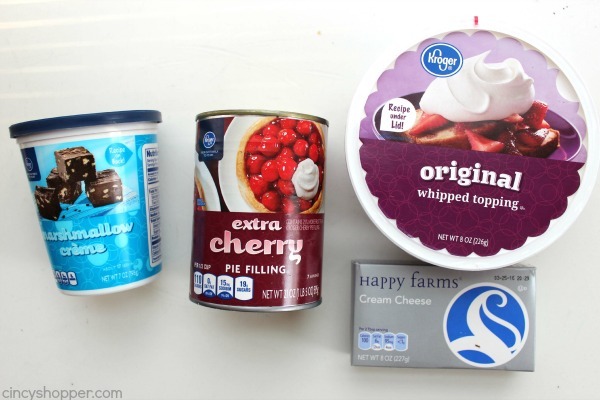 You will need cream cheese, marshmallow fluff, whipped topping, and then cherry pie filling. You can then just grab a box of graham crackers, Nilla wafers, or even pretzels to use for dipping. My daughter would just use a spoon if I would let her, ha ha. This stuff is so darn good. 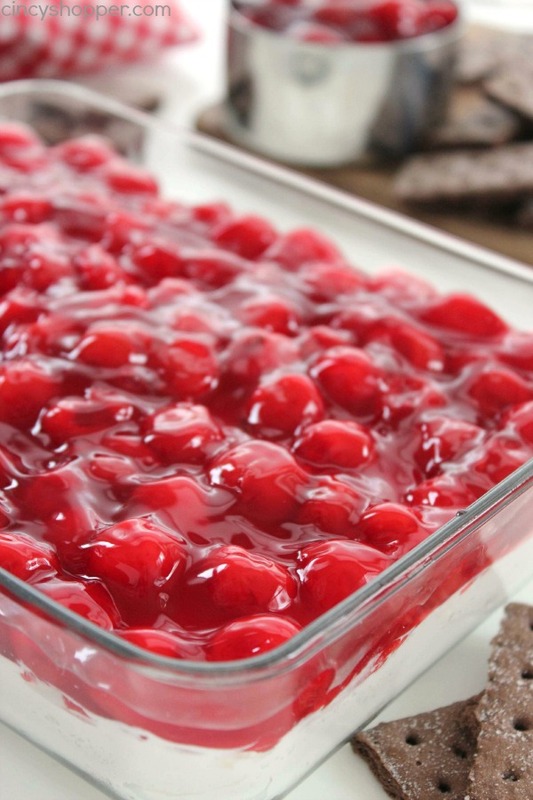 Do you have a favorite dessert type dip that you like to make for holiday potlucks? 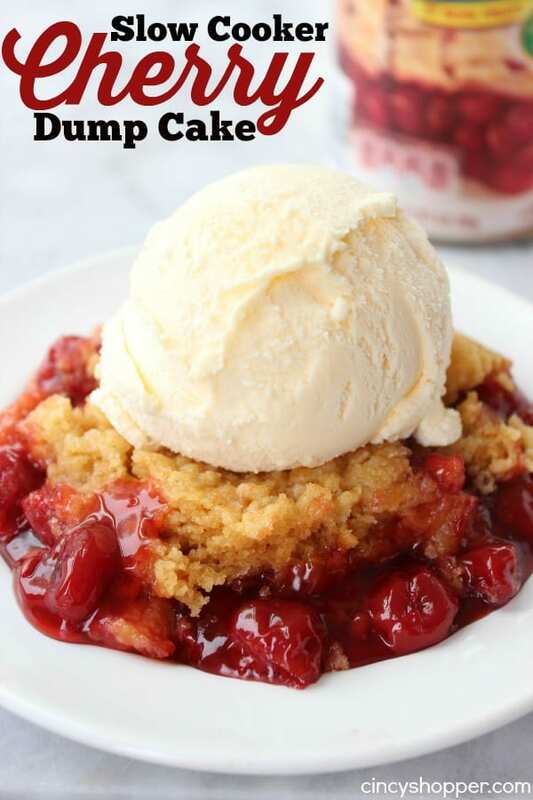 I know I will be making this one a few times this holiday season. I love this combination. I make a similar pie which is always a hit. I will have to try this dip. This sounds amazing, though I fear I would eat the whole thing on my own! 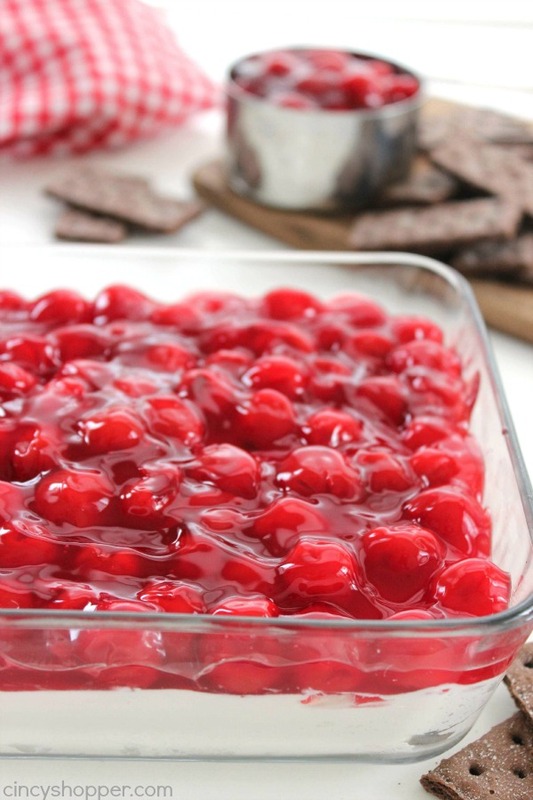 This looks like a festive touch to a holiday party — and sounds yummy! Congratulations on your mention in the November 16 Women’s World!!! 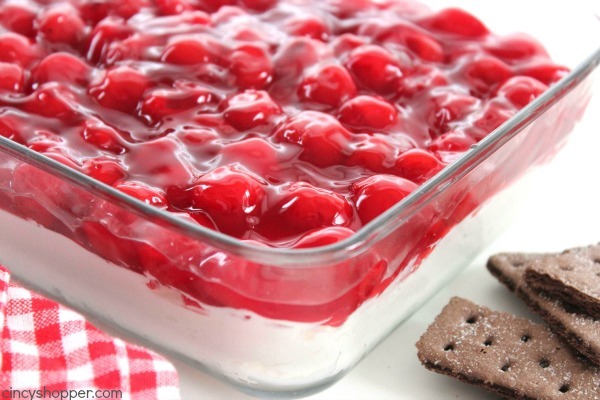 What size dish do you recommend for the Cherry Cheesecake Dip? Hi Jackie! I used my Pyrex 6 Cup dish on this dip. It is 6.5 X 8.5. Hope that helps. HI. I’d like to use this as an appetizer at my daughters wedding. Could you tell me how many people this would serve ?? Thanks ! Can you make this ahead and refrigerate? 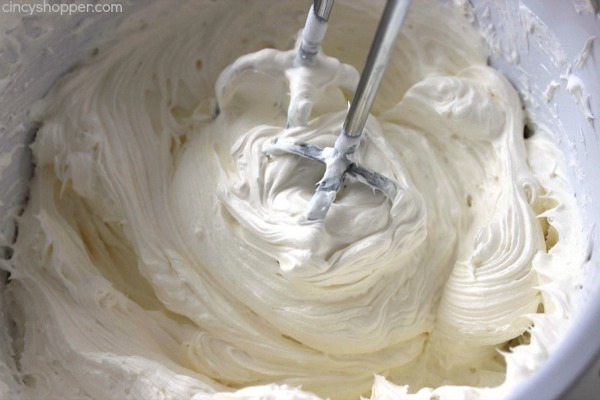 Hi, I was wondering how much marshmallow cream you would use? The jars I can find where I live are 3.75 oz but it looks like you might have a 7 oz jar in the picture but I’m not quite sure. Would the amount you put in for one recipe be 3.75oz total or half of 3.75oz? I’ve made this for several events and it’s been a huge hit!!! Making it again for memorial day and am planning to do half cherry and half blueberry. 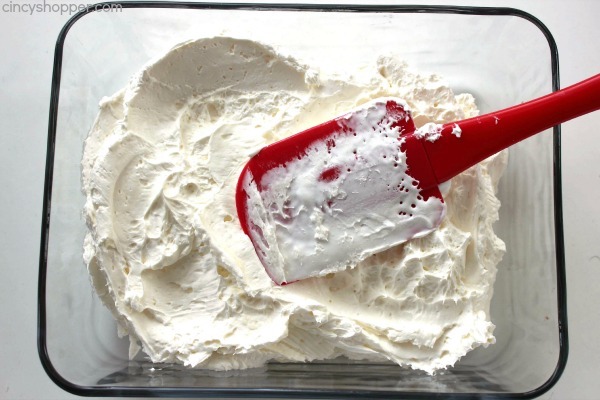 I ended up doing two sticks of cream cheese, one large cool whip and one large thing of the fluff, and a large can of cherry comstock- I figured any left over ingredients would either be consumed alone or wasted.